Don Howarth backstage in 1966. Don took 2nd place to Chet Yorton in the IFBB Mr. America. 15 year old Dave Mastorakis competes in the IFBB Mr. America contest in 1965. 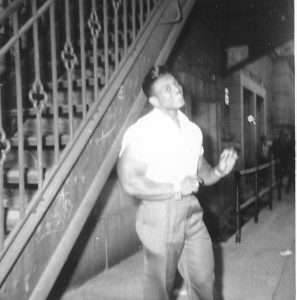 Chuck Sipes pumps up backstage before competing in the 1966 Mr. Olympia contest. 14 year old Dave Mastorakis meets Harold Poole. 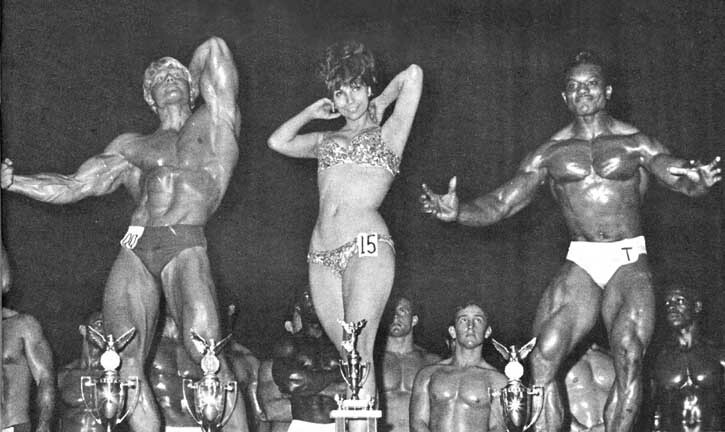 Dave Draper wins the 1966 IFBB Mr. Universe and Sergio Oliva wins the 1966 IFBB Mr. World while a young Dave Mastorakis watches from the back row. Larry Scott wins the very first Mr. Olympia contest in 1965 with Harold Poole in second place and Joe Weider presenting the crown. 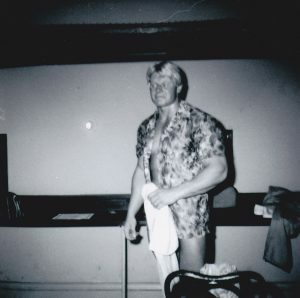 Don Howarth backstage in 1966 at the Brooklyn Academy of Music. Elliot Gilchrist took first place in the short class at the 1966 IFBB Mr. World contest. 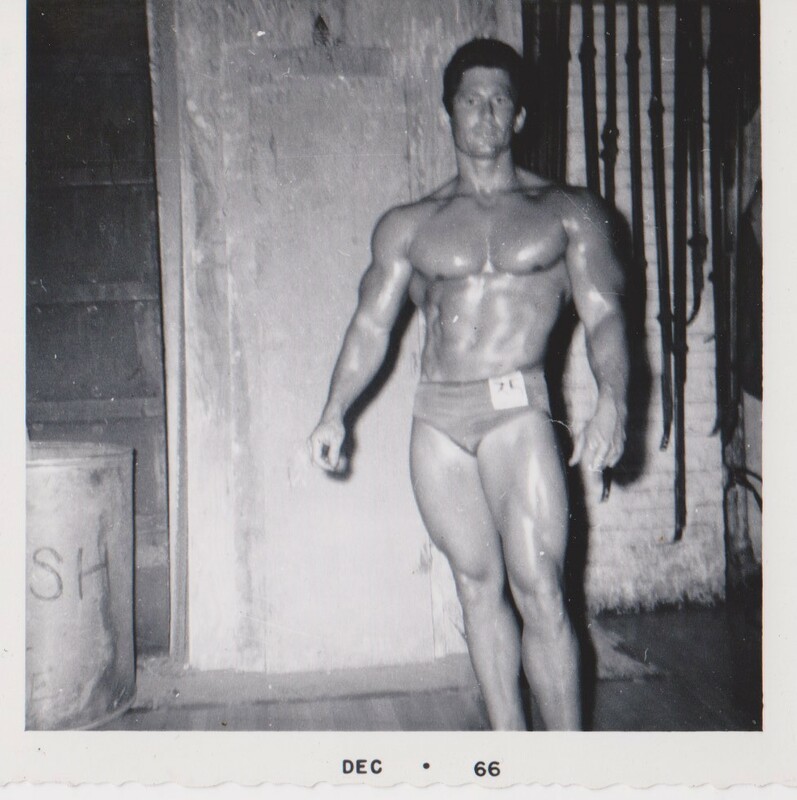 Frank Zane poses backstage in 1966. Frank won the medium height class at the IFBB Mr. America contest. 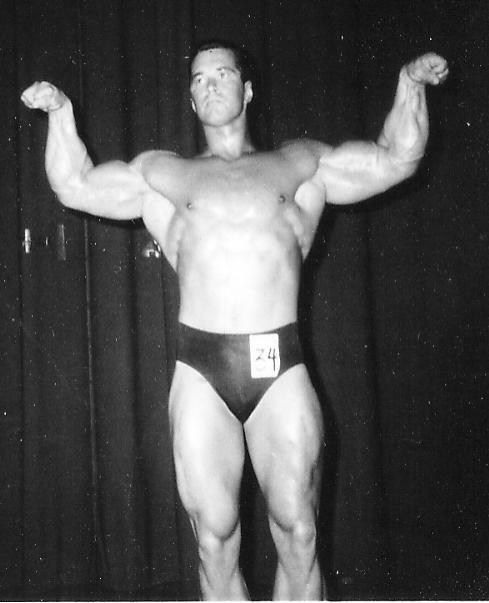 Gabriel Boudreaux won the short class at the 1966 IFBB Mr. Universe contest. Jorge Brisco from Argentina took 2nd place to Dave Draper at the 1966 IFBB Mr. Universe in the tall class. 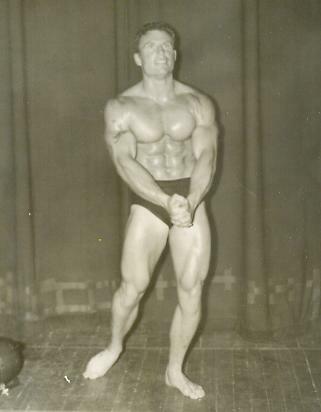 Rock Stonewall from Chicago, Illinois won the short class at the 1966 IFBB Mr. America contest. 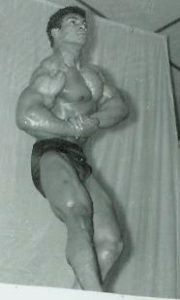 Rock also won the Most Muscular trophy at the Mr. America. A young Harold Poole guest poses in Massachusetts. 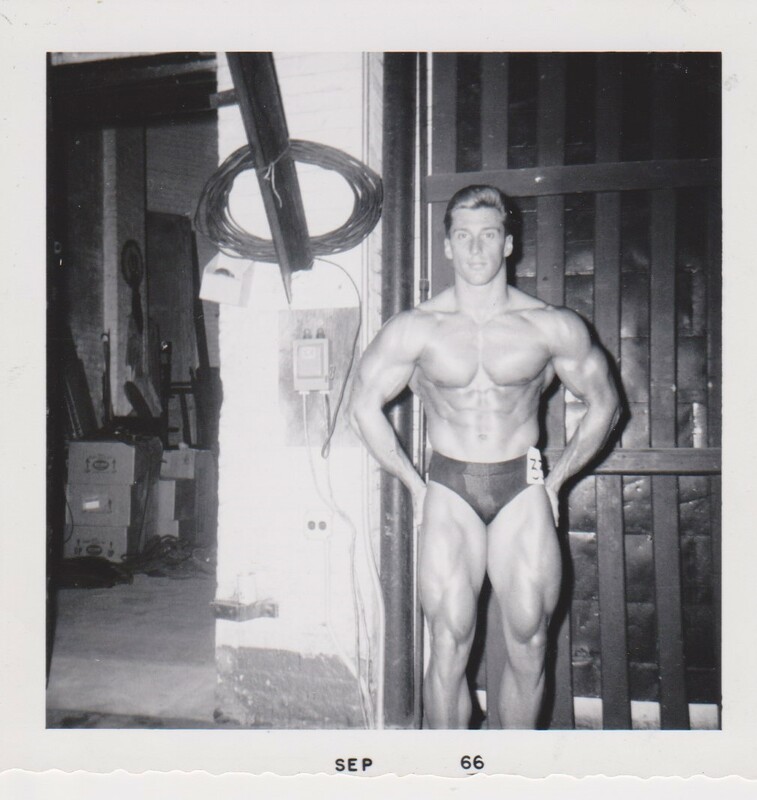 A young Dave Mastorakis visits the great John Grimek at York Barbell in Pennsylvania. 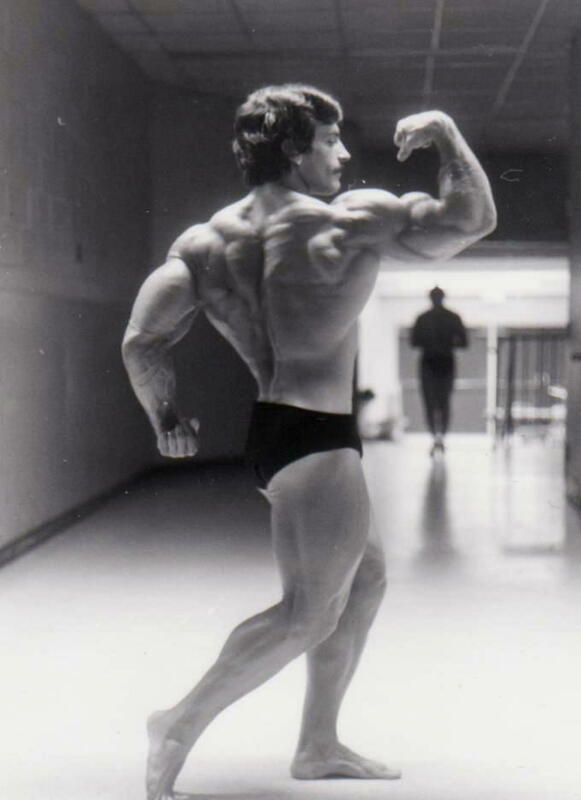 Mike Mentzer poses backstage after winning the 1976 IFBB Mr. America contest. Mike Mentzer poses backstage after winning the 1976 IFBB Mr. America contest in New York. 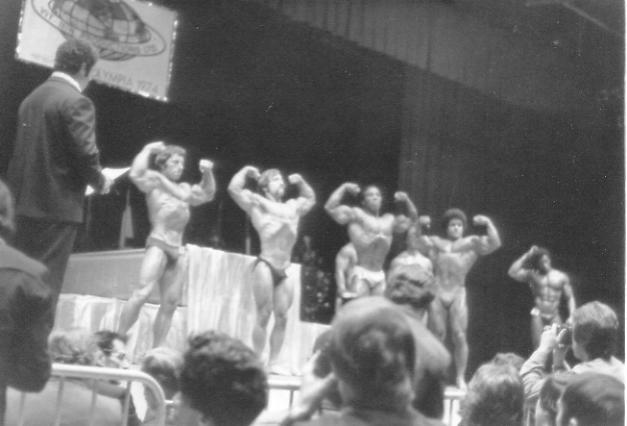 The posedown at the 1974 IFBB Mr. Olympia contest in New York with Frank Zane, Lou Ferrigno and Arnold Schwarzenegger. Prejudging of the short class at the 1974 IFBB Mr. America contest with Eddie Giuliani, Dave Mastorakis, Leon Brown and Carlos Rodriguez. 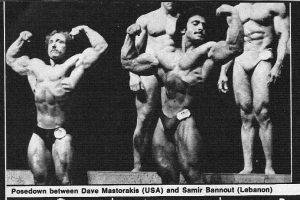 Dave Mastorakis and Samir Bannout at the prejudging of the 1977 IFBB Mr. International in Columbus, Ohio. 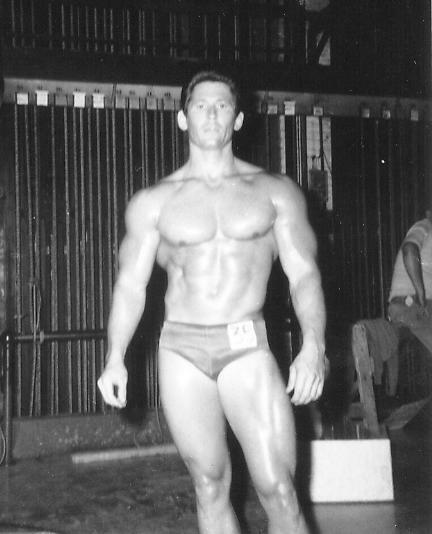 Don Howarth prepares backstage to compete in the 1966 IFBB Mr. America. Don took 2nd place to overall winner Chet Yorton. The powerful physique of Chet Yorton in 1966 at the Brooklyn Academy of Music in New York. Chet went on to win the IFBB Mr. America that night and then won the 1966 NABBA Mr. Universe in London. Chuck Sipes pumps up to compete in the 1966 Mr. Olympia in New York against Larry Scott, Harold Poole and Sergio Oliva. 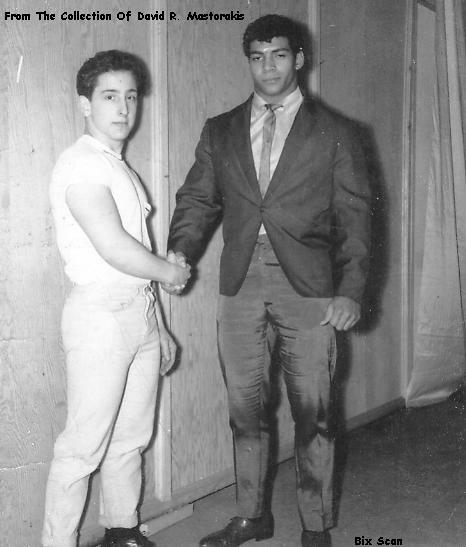 15 year old Dave Mastorakis shakes the hand of massive Harold Poole at the Brooklyn Academy of Music in 1965. 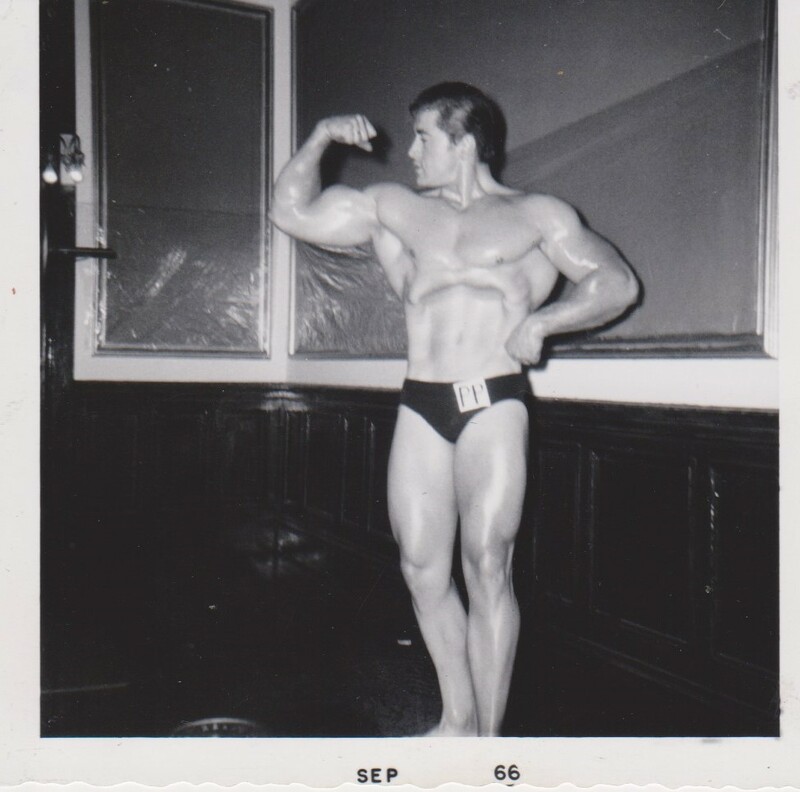 15 year old Dave Mastorakis competes in the 1965 IFBB Mr. America contest in New York. 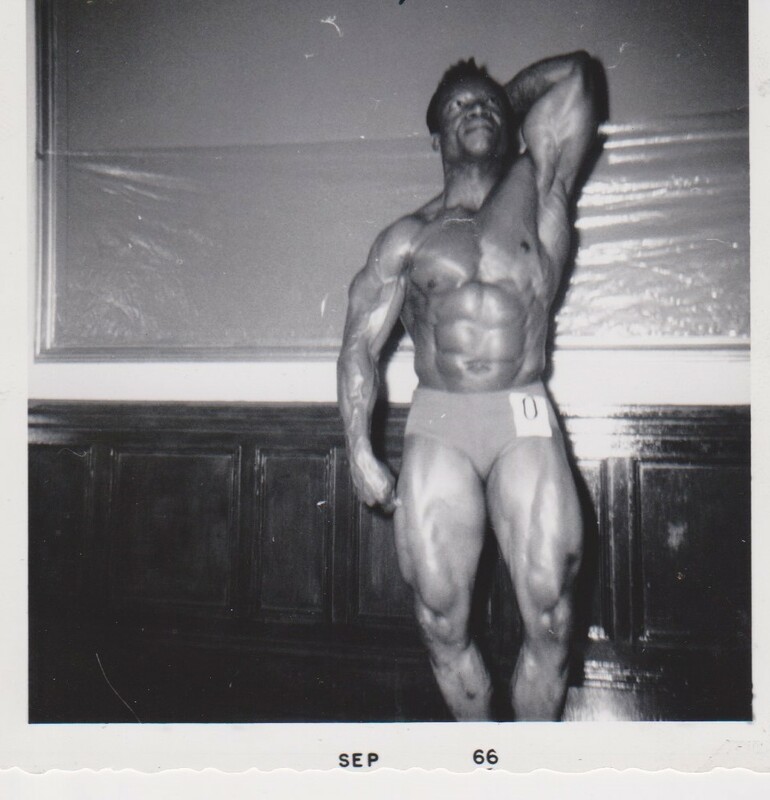 Massive Harold Poole guest poses in Holyoke, Massachusetts at a contest promoted by Ed Jubinville. Dave Mastorakis competes in the short class of the 1974 IFBB Mr. America contest at the Felt Forum of Madison Square Garden in New York against Eddie Giuliani, Leon Brown and Carlos Rodriguez. 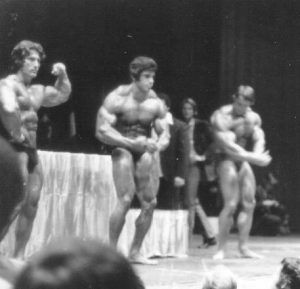 The 1974 Mr. Olympia posedown in New York with Frank Zane, Lou Ferrigno and Arnold Schwarzenegger. 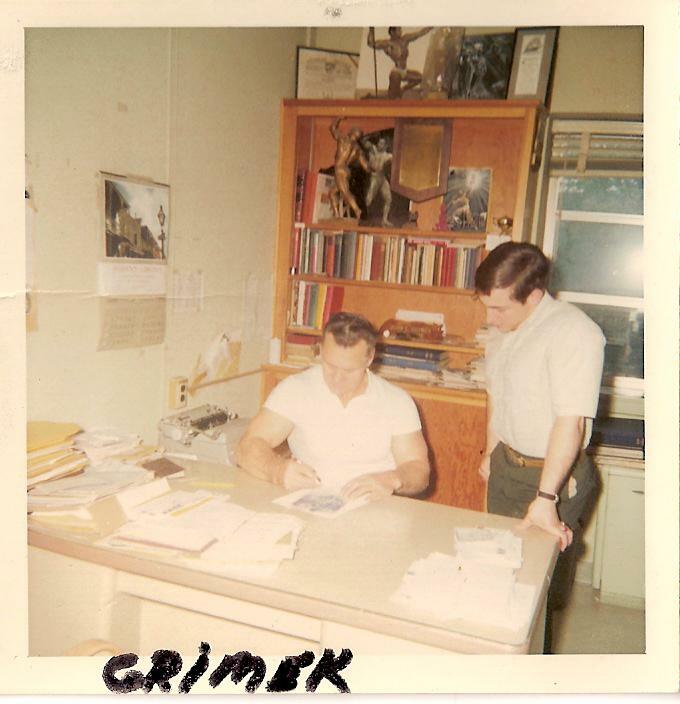 Dave gets an autograph from the great John Grimek at the York Barbell Offices in York, Pennsylvania. 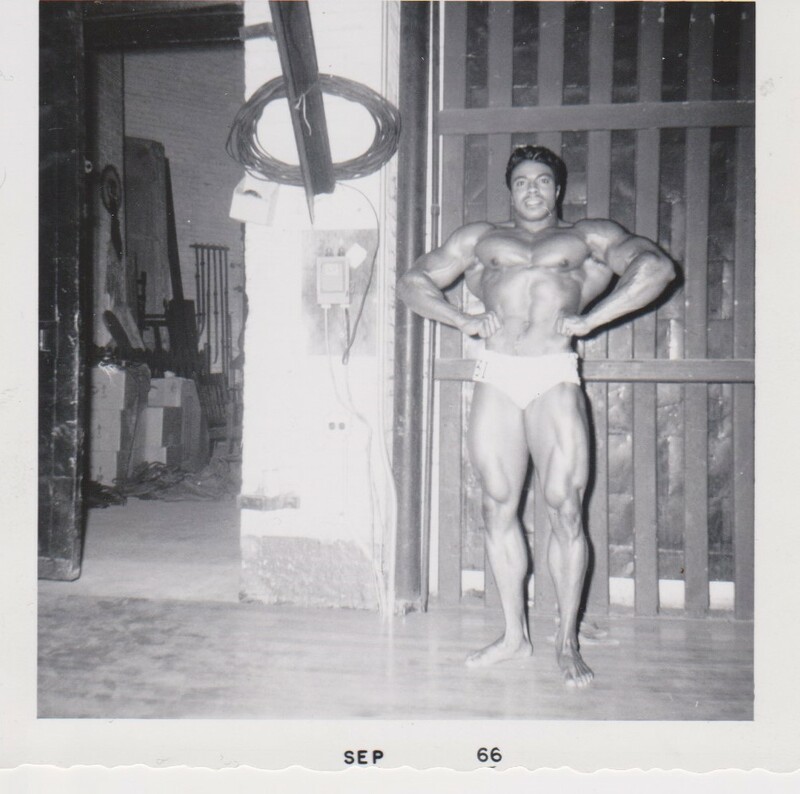 Dave Draper wins the IFBB Mr. Universe and Sergio Oliva wins the IFBB Mr. World in 1966 at the Brooklyn Academy of Music. 16 year old Dave Mastorakis watches the action from the back row. Dave Mastorakis poses down against a young Samir Bannout at the 1977 IFBB Mr. International contest in Columbus, Ohio. Samir beat Dave for third place. Larry Scott wins the first Mr. Olympia contest against Harold Poole in 1965 while Joe Weider looks on.